Spring is here and I say goodbye to the Buffalo of Winter and say hello to the Eagle of Spring; this is as some, American Indian traditions of the Medicine Wheel, define the seasons. Not to ignore Eagle, but I have witnessed Coyote sniffing around my neighborhood lately. If anyone is stepping on anyone’s feet it is Coyote!! 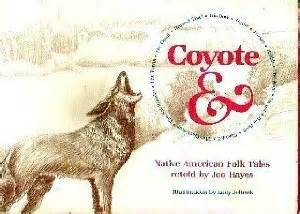 I am sharing this story to let Coyote know, if only indirectly, to back-off until summer, because three months of summer and Coyote is enough trickster for anyone!! This entry was posted in "In the beginning there was a void except for the written word." The Avengers (Band) and tagged A reading by Hudley, Coyote, Medicine Wheel, Spring Equinox. Bookmark the permalink.